Are you headed to the St. Louis Cardinals game this Saturday? You may want to head to the ballpark early. All ages are welcome to help paint a very sporty art bus as Metro Arts in Transit and the St. Louis Cardinals team up for a bus painting event at Ballpark Village. Add some color to the MetroBus fleet by painting two specially designed murals featuring the Cardinals onto the Art Bus. The mural designs were created in collaboration between Arts in Transit and the St. Louis Cardinals, and celebrate St. Louis, the hometown team and Cardinals players. 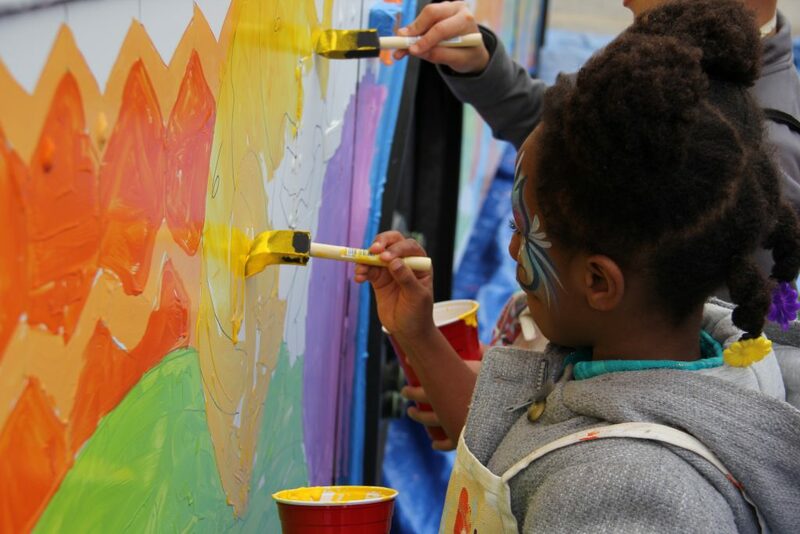 The Arts in Transit bus painting will begin at 1 p.m. on May 13, and the event is free and open to the public. 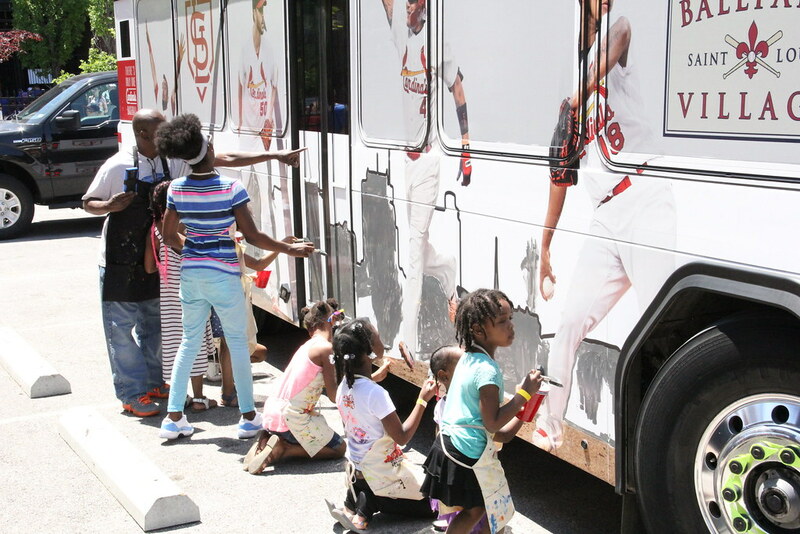 The Art Bus painting is sponsored by the St. Louis Cardinals. The bus will join the Art Bus Fleet, and the murals will stay on the MetroBus for one year as it travels along various routes throughout the City of St. Louis and St. Louis County. Can’t wait!! Coming all the way from Amarillo Texas to cheer on my Cards! !